Share the post "Simplify Your Spring Cleaning with the Libman Wonder Mop"
The days are getting longer, the birds are singing louder, the cherry and magnolia trees are almost in full bloom, and the weather will soon be warm enough for me to crack open the windows, signifying that we’re on the cusp of spring! Trees showing signs of life after a long, dreary winter; thick, lush, green grass; and gorgeous, vibrant, and fragrant flowers always put me in an upbeat mood during the springtime. 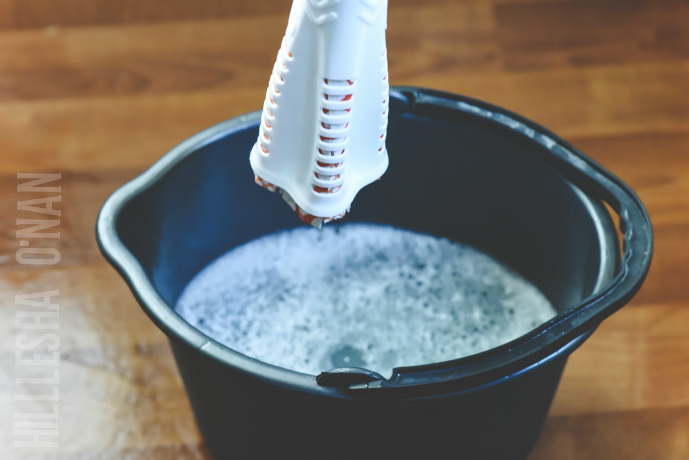 The arrival of spring also signifies a clean slate: purging, cleaning, and organizing throughout the house. 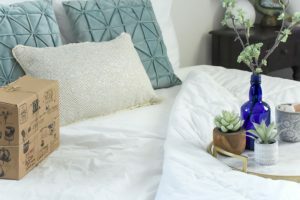 This all may sound daunting, but it’s not hard for me to spur into spring cleaning when the “winter doldrums” are behind me. Nothing gets me in a better spring cleaning mood than opening the windows, smelling the fresh springtime air; and letting my Spotify playlist play in the background, as I purge, clean, and organize! 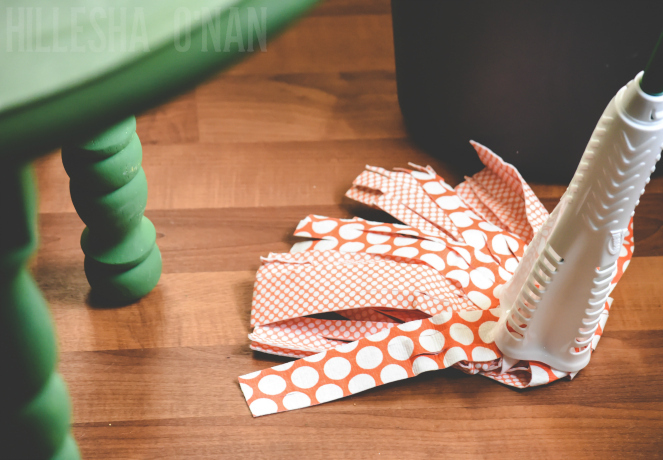 The Libman Wonder Mop, sold at Walmart, is a must-have for my spring cleaning arsenal. 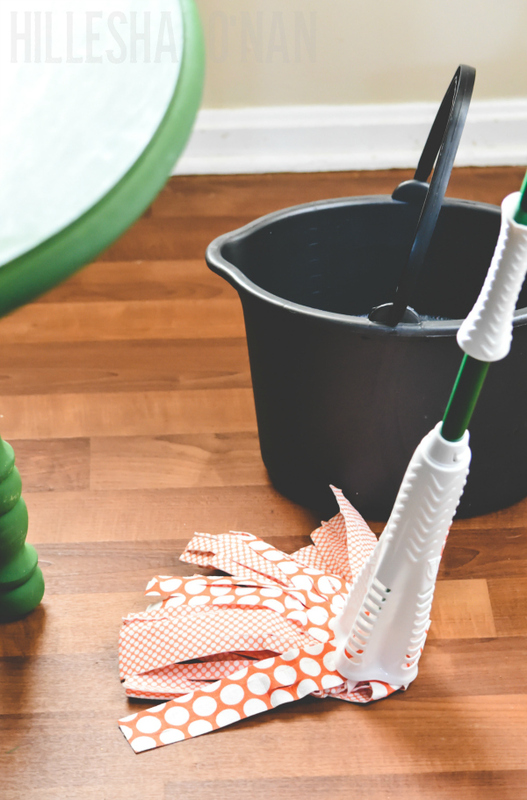 I’ve always found mopping to be an arduous chore that I’ve come to loathe over the years. This is why I never thought in a million years that I’d love a mop, but the Libman Wonder® Mop is unlike any other mop that I’ve ever used. It is functional as it versatile since it can be used to clean other surfaces other than just floors! The microfiber GRIPSTRIPS™ on this wondrous mop removes 20% more dirt. This ensures that my hardwood floors get a good cleaning after a long winter! It removes more water, enabling floors to dry much faster. As if it doesn’t get any better, it’s machine washable, too. That’s right! It can withstand up to 50 washings. But, don’t just take my word for it. Try out the Libman Wonder Mop yourself! 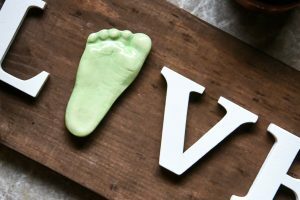 Also, sign up for their newsletter for a printable $3 off coupon. 5 winners will receive a “Spring Cleaning Toolkit” comprised of Libman products, and one additional winner will receive a prize package plus a $500 cash prize. 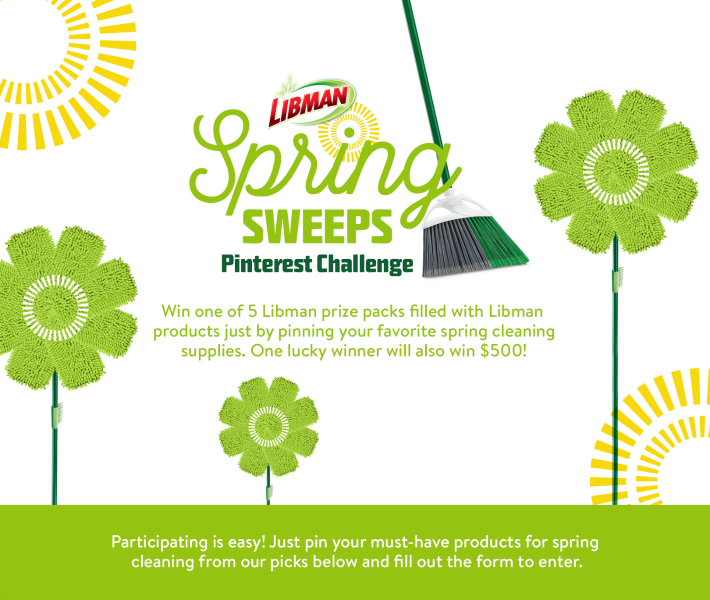 To enter The Libman Company’s Pinterest Sweepstakes, follow The Libman Company on Pinterest and re-pin from their sweepstakes-specific board, then enter your information on The Libman Company’s Facebook page. Invite your friends to enter as well! 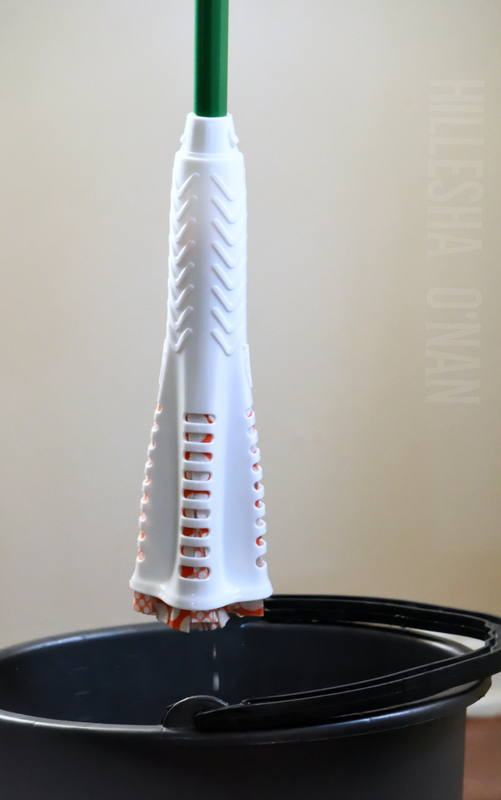 I love using the Libman Wonder Mop because I don’t have to get my hands wet and it’s so easy to use. It’s the perfect way to get my floors sparkling clean. I actually have this mop and it is pretty awesome. It works so much better than other ones I have had. I could use a good mop like this! I have floors that are constantly dirty because of a certain puppy that brings in the mud from outside. I will definitely check them out. I need this mop! I do t like mopping, but it’s necessary! Two of the things I dislike about mopping is having to get my hands wet and messy and it seems the mops around now don’t wash and clean as well. I definitely plan on trying this one out. Thanks! Wow. That is a great tool to have for spring cleaning. I love that it is machine washable. That would really be awesome to last up to 50 washings! I want one of these! I love anything that helps to make my life easier, with two homes to clean, I need this in my life! I need a good mop since my Swiffer just isn’t cutting it! It looks very light weight which is something that I need because half of my spine is metal and I cannot bend – that’s something that I need in a floor cleaning product! Plus, I have a dog and a busy boy who makes floor cleaning a regular routine in my house. Thanks for sharing this product. I’ll have to check it out on my next trip to Walmart! Believe I have mentioned before I have this mop and use it all the time. Head is easy to remove to wash or replace. Rings all the water out easily and you can hang it up to dry. I am all about spring time cleaning and getting the house back into a more “fresh” state after months of snow and grey skies in the winter. 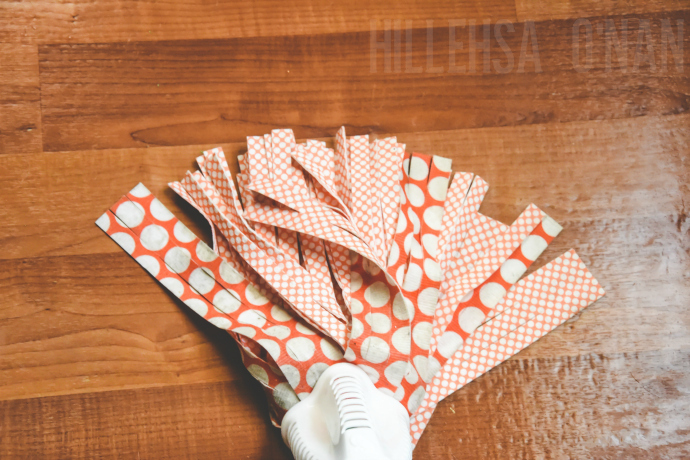 I will keep the Libman mop in mind when I’m at Target next – love that its machine washable! karen recently posted..Getting Rid of Wrinkles the Right Way! We have this mop and love it! I love that I can clean without ending up with an even bigger mess from all the mop water! I used to have one of these mops until my husband left it outside to dry then it rained and got all moldy. I hate to mop so sadly my floors are probably pretty dirty. I need to get a mop like this. Our floors are always a pain to mop because of all of our dogs, but this would make it so much easier to mop more frequently. Libman makes great products! Most of my house is carpet, unfortunately! It is great that you can wash this mop head and reuse it! I am really getting into my spring cleaning. I am currently using “man power” to mop my floors with just a rag and scooting across on my hands and knees. This is a mop I need to look into. I am really happy to hear it is machine washable, as we love to keep things as reusable as possible. Is it sad that I’ve kind of fallen in love with this mop!? I think my favourite feature is that the water can be rung out with whatever that white part is – no more doing it in the pail too hard and having the entire thing spill on you. I’ll have to check my local Walmart next time I’m out. I have gone through at least 5 different mops so I am very interested in trying this one. It reminds me of a carwash the way the mop fans out like little towels. it is great that it is washable. I need a new mop because mine definitely needs to be replaced. We have pets so having a good mop is imperative. Thanks for sharing and telling us about the coupon. I bought this mop a couple of years ago after being mad at my other stringy mop for not cleaning worth a crap anymore. I can’t believe I haven’t bought a libman sooner! My favorite part is I can take that head off and throw it in the washer when I’m done mopping! I need this in my life. I really hate cleaning and this would help at motivating me a bit. I have a swifter but I feel like it’s not as effective as a mop. You do not even want to know how long it has been since I mopped. This mop looks like it would make it much less of a daunting chore. I love that it can stand up to so many washings. I have tried using mops like this one and I have had a lot of trouble with them. That’s cool that this one worked for you. I will have to check it out when I get the chance. It is great that the wonder mop can be used on other surfaces apart from floors. Multi purpose cleaning tools are the best! My mom gave me one of these when I moved out and it’s awesome! I have only used it and a swiffer on occasion. Leslie recently posted..March Goals – Let’s Do it! My husband prefers mops like this over the more traditional rectangular ones that I prefer. It’s great that it’s machine washable. I have been looking for a good mop to use! We don’t have a lot of hardwood floor but I am pretty particular about mopping my floors at least weekly (I have a chihuahua that sheds a lot and likes to lick the floors – gross!) I think it’s really cool that this is machine washable because the thought of mopping with old floor germs grosses me out haha. I will have to check this one out! This looks awesome! I need to get a new mop, when we moved we have more hard flooring so this would be a great upgrade! Really looks like it makes mobbing sooooo much easier! Yes, sounds funny to love a mop, but totally feel you! Love how this one “squeezes out” so much water! Thanks for sharing the coupon! I hate cleaning, but I love companies that make it easier on me. I never want to break my back over getting the job done. This looks so helpful! My old mop bit the dust and I have been looking for a new one. These seem like a great option! I’ve never heard of this mop before. It sure looks convenient to use especially when you’re cleaning up spills. It’s definitely a must have at home! My mum use this at home. She always swears by it! This is by far one of my favorite mops! Makes spring cleaning so much easier that’s for sure! Great review! We have been refinishing our hardwood floors and I could really use a good mop to take care of them. This sounds much better than my last mop! This mop really does simplify cleaning. I love how easy it is to wring out the mop. I haven’t had the chance to use a Libman wonder mop. I like that it’s colorful and it looks so cool! It sounds like a great product so I will show this to my husband as he does all the mopping at home. I haven’t heard of The Libman Wonder Mop before but it looks like a really great tool for spring cleaning. The water removing technology sounds wonderful! We don’t really have a good mop at our house now. Our old, cheap ones are falling apart. This is just what I need to clean the floors properly. I was just saying I need to upgrade to a new mop. I have a steam cleaner I love but after five years, it probably should be replaced. And sometimes it would be great to just pull out a mop instead. I need to check this out. I love the design of the mop. Another household’s bestfriend it is! I was just debating picking up this mop. We changed our floors from tile to wood and the swiffer doesn’t do a good enough job of getting them clean. I would love to have a great mop like that. It looks like it would make mopping a make easier chore to do. Thanks for sharing. I can’t wait to try it. Now, that is the mop that I need! I usually get mine from the dollar store, but I hate having to use my hands to remove the excess water when I’m mopping. This looks great mop! I need a good new mop because my dog is having frequent accidents lately.